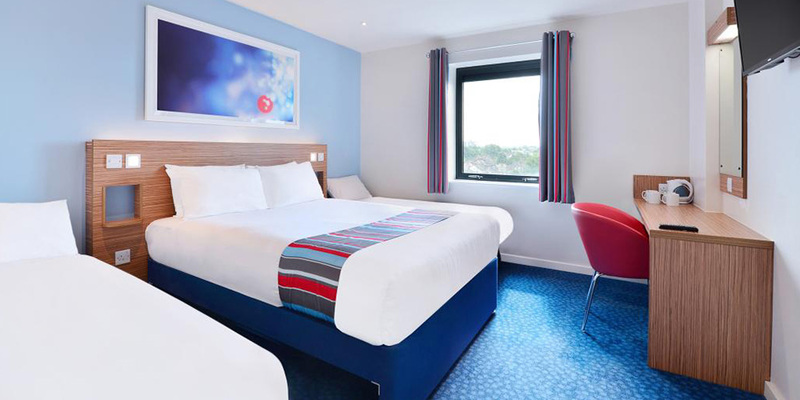 At Travelodge your experience is important to us, that’s why we’ve made sure that our rooms are more comfortable than ever before. One comfortable kings sized bed with one or two pull out ‘Truckle’ beds and Travel Cot. You should speak directly to the Hotel to confirm availability of cots and room size. Maximum number of occupants in a double room is 2 adults or 2 adults and 1 baby in a cot, dependant on space available in the room. One comfortable kings sized bed and one single bed. Maximum number of occupants in a twin room is 2 adults or 1 adult and 1 child or 2 adults and 1 baby in a cot, dependant on space available in the room. One comfortable kings sized bed. Maximum number of occupants in a double room is 1 adult only.